Pope Francis asked people to give thanks to God for the gift of so many men and women living a cloistered life of total dedication to prayer. “May these communities not lack affection, closeness and support,” including material support, from the entire church, he said, marking World Day of Cloistered Life at the end of his general audience in St Peter’s Square. The pope also sent a written message the same day, which was also the feast of the Presentation of the Blessed Virgin Mary, to those taking part in a world congress in Rome, organized by the Vatican’s Congregation for Institutes of Consecrated Life and Societies of Apostolic Life. 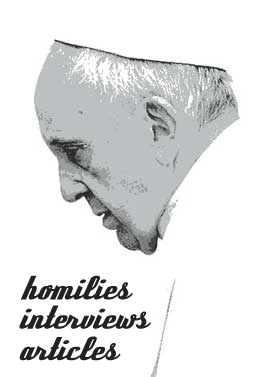 In his written message, the pope thanked contemplative men and women for their vocation. “What would become of the weakest members of the church, who find in you support for continuing their journey? What would become of the church and the world without the lighthouses that signal the port for those who are lost at sea?” he asked. Contemplative men and women are like “torches” in the darkness, “sentinels” who proclaim a new day is coming, even though it is still night, he said. “Thank you, because you enrich us with so many fruits of holiness, mercy and grace,” he said. The pope also called for careful, well-rounded and in-depth formation, for candidates, formators and leaders.